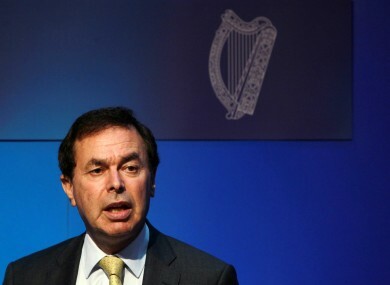 The the current average processing time for applications is around 14 weeks according to Minister for Justice Alan Shatter. AN GARDA SÍOCHÁNA are in the process of developing a new online vetting application to cut down on delays in the process. The the current average processing time for applications is around 14 weeks from date of receipt according to Minister for Justice Alan Shatter. The Minister released the information in response to a query from Sinn Féin deputy Pádraig Mac Lochlainn who said that the delay in vetting applications is causing problems for participants of community employment schemes. The Justice Minister said that “seasonal fluctuations” can result vetting procedures taking longer than average as can the requirement for the Garda Vetting Unit to seek additional information on some individuals. Minister Shatter said that numbers employed at the garda vetting unit have been increased this year and the most recent count put that figure at 140 full-time staff members. This he said represented a 50 per cent increase on the figure from March. The possibility of introducing an e-vetting system has been assessed and the Garda authorities are now in the process of developing a system which will enable vetting applications to be submitted electronically through a secure web service. In addition, the system will facilitate the checking and monitoring of applications. The relevant work is being pursued on a priority basis and it will be completed as quickly as possible. Garda vetting is carried out by the Garda Central Vetting Unit which is based in Thurles, Co. Tipperary and primarily deals with requests from organisations that have been registered with it to vet prospective employees. The unit also deals with requests from individuals looking for information regarding personal information relating to themselves held by An Garda Síochána. Email “Gardaí developing online vetting process to cut wait times”. Feedback on “Gardaí developing online vetting process to cut wait times”.